So, there we have it! The big reveal is out there and we know exactly who Missy is. Missy has been following the Doctor’s adventures for quite some time now, is actually the Gallifreyan evil genius The Master – We don't have all the answers yet, but I'm sure we'll be getting them in this week’s series finale ‘Death in Heaven’. 'Dark Water' was a great start to what appears to be an astounding finale, full of big surprises. Setting up the story with the sudden death of Danny Pink we are presented with an unusual scenario between The Doctor and Clara: betrayal. The performances given throughout the story were touching and Jenna Coleman came into her own once again with her heartbreaking performance upon discovering and accepting Danny's death. Clara is willing to do anything to be reunited with her Mr Pink, and we see how dangerous anger can be. This episode features many twists and turns the first coming before the titles have even rolled. 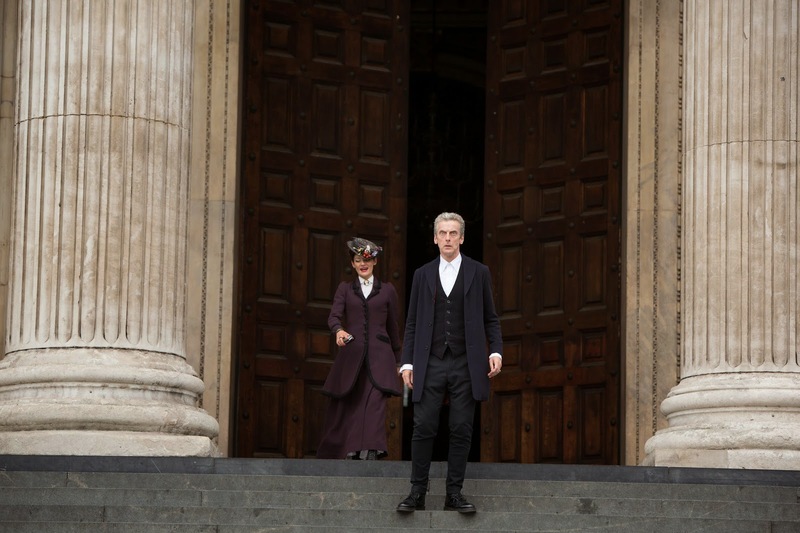 Danny’s death delivers the second biggest turning point of Series 8, the biggest, of course, being the revelation of Missy’s true identity in the final moments, more on that later. The death of Danny not only makes Clara deal with the consequences of death but also forces The Doctor to tell Clara how much he values their friendship, something he has avoided saying since his regeneration. The episode does not steer clear of delving into the concept of death, cremation and the afterlife. Topics that have been danced around in not only in Doctor Who but also Torchwood (see 'Dead Man Walking’). This was however done disturbingly enough but without becoming too offensive to the viewer. Missy’s secret is out there – she’s the Master, and we have missed her! Michelle Gomez has managed to bring new life to the character, bringing more to the role in one episode than John Simm did in his tenure as the Master (not that I'm slating his performance). We've wondered who she is ever since she met the Half-Face man in ‘Paradise’, cropping up throughout the season collecting people…we must question, why these specifically? Are they part of a bigger piece, only time will tell? The most important thing to put across about Gomez’s scenes within the episode is that not once did I lose any interest in her character, every twist and turn was followed my dropping of my jaw (even at one point she persuaded me that Missy was in fact a droid) – this isn't just great story telling from Steven Moffat, this is opening up to the character – A big well done should be given to Michelle Gomez if you pass her on the street. Overall this episode set up what is sure to be monumental finale. Questions on Seb's identity, the point of the Gallifreyan Hard Drive and how, if at all the Doctor can beat Missy are sure to be answered, but right now I'm happy with what this episode achieved and has gone down as one of the most memorable of the new series in my opinion. 9/10. 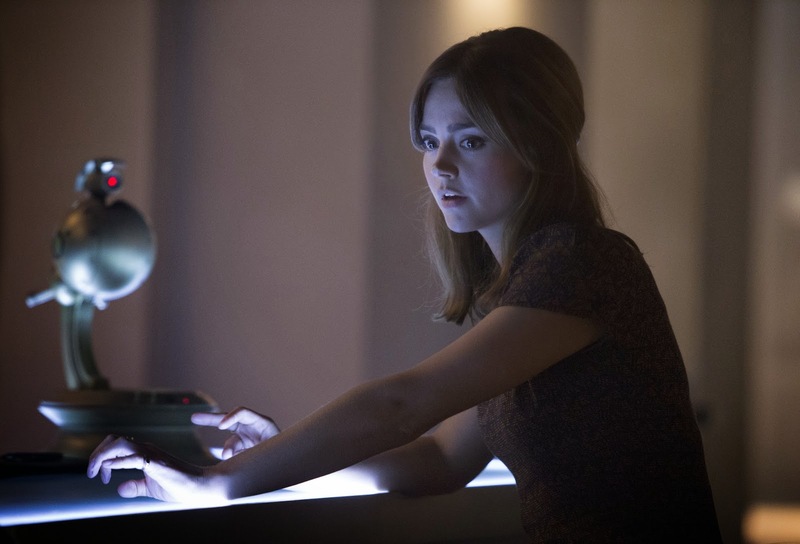 The dream sequence is rushed, badly set-up and badly explained serving only as an incite into Clara's emotional state because the actress seems unable to convey the right emotions during any other scene in this episode. It uses a item only briefly brought up in series 3, then the rest of the episode proceeds to contradict the entirety of series 3. The fact that Re-writing time is mentioned again by the Doctor in such a way that it sets-up the possibility for this two-parter to be re-written is insulting to the fans. It gives the writers yet another cop-out that makes the episode feel weak. Time can only be re-written when the writer chooses seems to be the basic idea of this scene. A character dying in 'Journey To The Centre Of The Tardis' can be re-written despite the paradox while a character dying in 'Dark Water' cannot be re-written because of a paradox. The Missy reveal contradicts all the scenes from the prior episodes and her backstory contradicts 'The End Of Time' and there was nothing hinting to Missy's true identity. There is no reason for the 'Dark Water' to exist other than a cheap way of avoiding revealing the Cybermen until later, despite this contradicting the events mentioned in the episode. If the 3W members know the humans are in endoskeleton suits then why create a liquid that makes the metal invisible, that is stupid. Not to mention that the female Master is written terribly, snogging the doctor, flirting with him and essentially being River Song or Tasha Lem. This is why people dislike the idea of gender swapping because it lowers the character to merely there gender and now the Master acts entirely different because of his gender. The reveal of the promised land was also rushed, and the fact that Missy seemingly travelled there and back just leaves it open for any prior character who died to return, making the entire two-parter and series as a whole feel weak. If I had choice in the matter this would likely be the last episode of Doctor Who that I watched, instead out of commitment to fans I must review the next episode. The show has been hit and miss all series, barely above the quality of series 6 a majority of the time. Here is another episode that hit a low making me question why people keep giving these episodes such a high rating. This isn't even from a critical analysis this is simply the thoughts of a fan. Its just depressing watching so many bad episodes be given such high ratings. They do play fast and loose with the paradox aspect. But if they allow 'x is dead, lets nip back and stop it' then no-one ever dies and nothing bad ever happens. To avoid paradox, they could establish rules like 'Its OK to go back in time and change something as long as the thing being changed is not the reason for the trip back in time'. As the Doctor says : if he stops Danny from being run over, Clara won't come to him and ask him to prevent it happening. So it happens, so she asks, so it doesn't happen.. etc. Half way through this episode I have a horrible feeling that Clara is still in the dream state. I feel sure that 'where the Doctor is' is definitely not central London for real.. the TARDIS took him somewhere unusual, didn't it? It could have been bad editing but when dozens of cybermen came marching out of the buildings to the streets, was only the Doctor able to see them? No-one else seemed remotely concerned, which isn't surprising as during the Missy/Master reveal there wasn't a single one to be seen on the street. Hopefully the cybermen will actually do some damage next week - Usually they just walk about, break a window , or stand on street corners until the Doctor shows them a picture of some puppies and they blow up. All these dead people through the series.. they really are dead. There can't be a body here with bits falling off and a body in some building in London doing just fine, thank you. So the Gallifreyan hard drive may be similar to the memory in the Library, and storing 'souls'. Dannys choice of 'DELETE' equates to just that.. delete me from long term memory. Sadly, the only way to get Danny back into a physical body for Clara will be to rewrite Time in the way described above, so we will get the inevitable conclusion. There are, sadly, more flaws in your criticism than in the episode itself - and that's not me saying the episode was at all flawless. The purpose of a first parter is to raise these questions you're asking - 'What is Seb's motivation, what is Missy trying to achieve' etc. that is your reason for tuning in to Part Two. Unit don't need setting up. 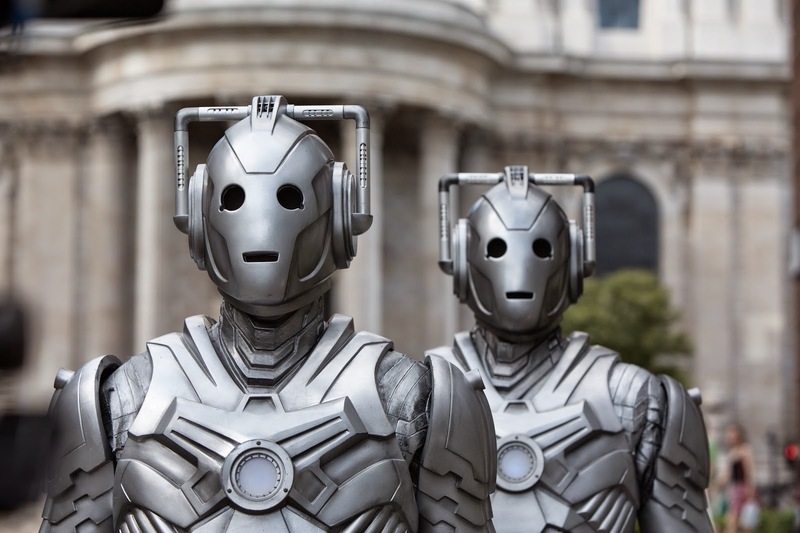 They exist and if Cybermen start marching out over London they will appear in some form.It's not far-fetched if they just appear within the first 10 minutes of the next episode. The Promised Land is likely called that for the sake of irony. If those seeking The Master's 'Promised Land' knew what it was they likely wouldn't be seeking it. (See Utopia). I agree some of the jokes were in poor taste, depending on your personal threshold for dark humour and where you draw the line. I also agree that the dream sequence was poorly executed and seemed a bit 'oh well that wasted 10 minutes'. But it was a different way of showing The Doctor how serious a Companion was - it would have been better had they not tried to shoe-horn the Dream Patches into it though. Like it or not, 'Time being re-written' is at the Writers discretion as soon as RTD decided 'There are fixed points in time and some that are in flux'. I personally prefer the 'Time cannot be rewritten' angle, and you're pretty much complaining about the possibility of something happening in the next episode which is quite frankly ridiculous criticism and you are literally inventing things to moan about. - Missy doesn't contradict her previous appearance as of yet, she's taking people out of time as the Matrix does and likely people connected to the Twelfth Doctor and have met him so she can use their memories to plot around him. -Timelords can interface with the Matrix, so The Master will know how to enter the 'Nethersphere' mentally without physically being dead - and it seems from next weeks promotion that there are wristbands that allow this kind of interface for the Staff. I quite enjoyed the setup of this episode, I just hope the pay off is good. one thing that is annoying me is the Cybermen's lack of personality. The Cybermen used to have personality, arrogant, domineering, remorseless,and calculating. this current generation seem to be nothing more than metal zombies or drones. I'd like to see some more personality, it would give me something to dislike! no wonder everyone was ignoring them in the show! I dunno, I hope the pay-off in the second part is worth it. I can't help but get...shudder...Star Trek TNG flashbacks....The Master working with the Cybermen....Lore working with the Borg. None of it makes sense...these are the Nightmare in Silver models that use nanites-cough-cybermites to convert people. Why do they need the Master? Why do they need corpses? Hope we get an explanation into Missy's "laser compact" or whatever we want to call it as well. If the next episode involves body/mind swaps between Doctor and Master (and too many of the hints, spoilers and dialog from THIS episode seem to be pointing that way) I won't be particularly pleased. Based on what I've read we're supposed to watch the intro sequence because something has been changed...oh let me guess, we get to see Missy's face zoom by instead of Capaldi's. Some other fan site already has "Missy Who" up there.